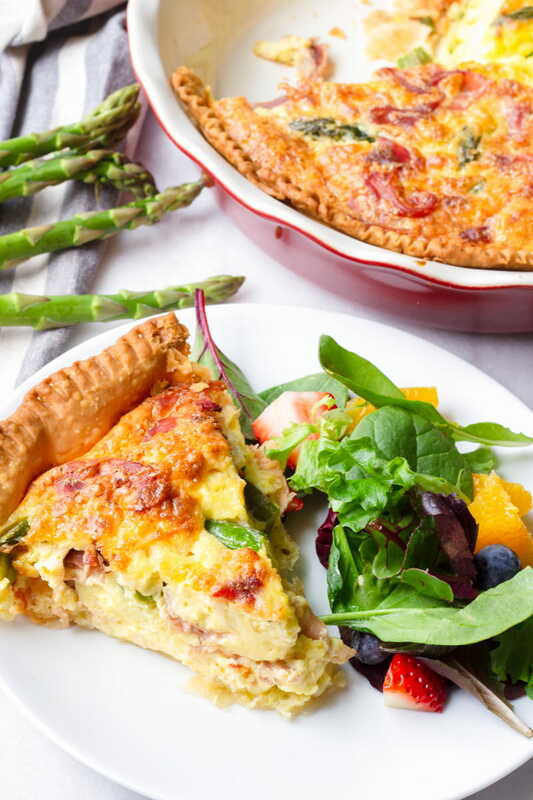 Spring is here, and what better way to celebrate than with this Asparagus and Prosciutto Quiche?! I love the flavors and the simplicity of it. This asparagus quiche is made with fontina cheese, one of my absolute favorite cheeses! 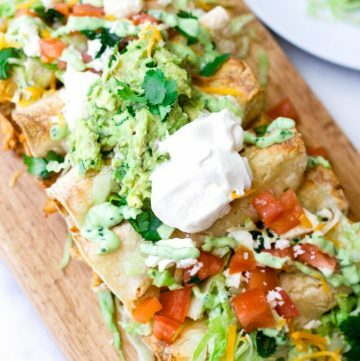 I don’t know about you, but I love brunches. I always look forward to weekends, when I can go out for a really nice brunch or host one. 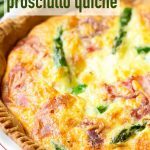 A quiche is the signature dish of a nice brunch, in my opinion, and I just love this spring themed asparagus and prosciutto quiche! I served it with a simple greens and fruit salad, and drinks…a perfect spring brunch party combination. 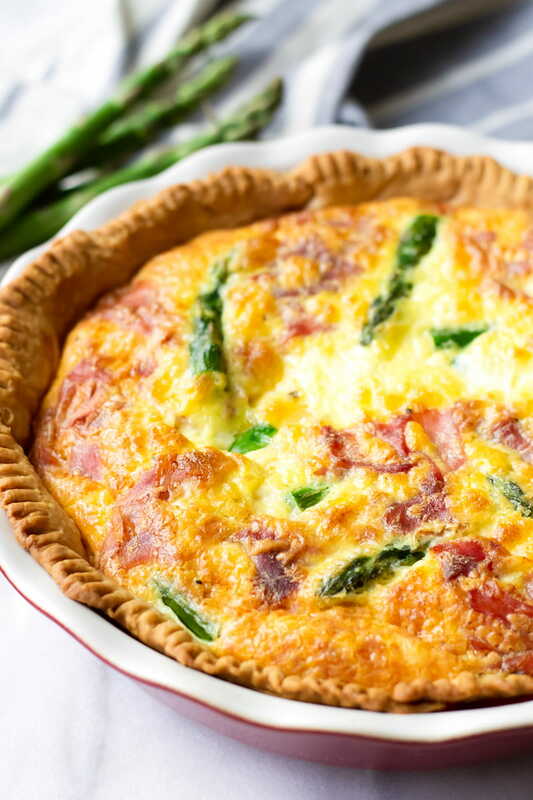 This asparagus and prosciutto quiche recipe is very simple. I used store-bought pie dough, which definitely saved me a lot of time. For the filling, I used fresh asparagus, prosciutto, and shredded fontina cheese. 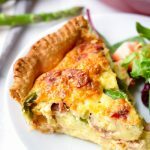 Not only is fontina cheese one of my favorites, but it also melts really well, creating the perfect texture in this spring asparagus quiche. 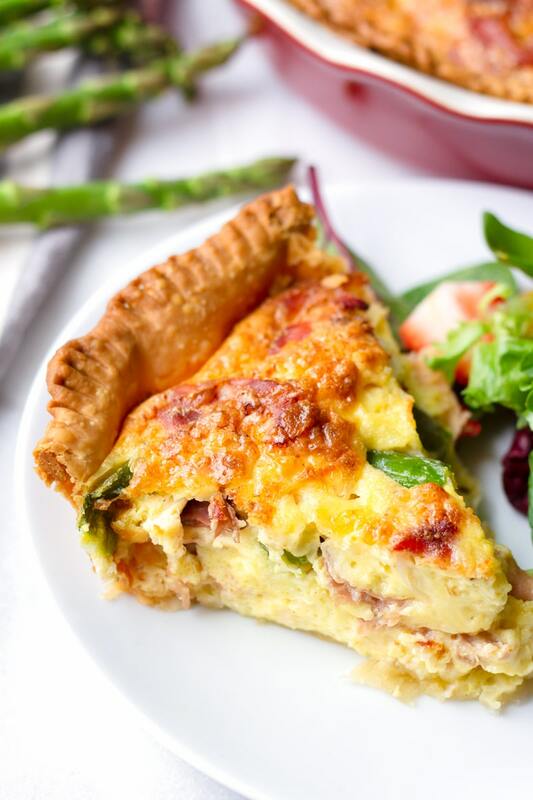 What’s in this Asparagus and Prosciutto Quiche? The combination of asparagus and prosciutto sounds just like spring to me. 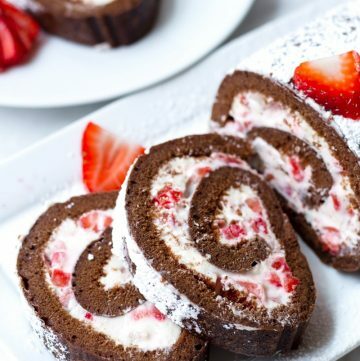 It’s perfect for Easter brunch or just any kind of fun occasion. I chose fontina cheese because it melts really nicely. A crucial step in baking a quiche is to blind-bake the crust first. The process of blind-baking consists of pre-baking the crust with pie weights. Usually, blind-baking is necessary for custards, quiches, or pies that require the filling to be fully cooked. If you don’t blind-bake the crust, the filling will make crust really soggy. So, by blind-baking or pre-baking the crust, you ensure a crispy crust before adding the filling. 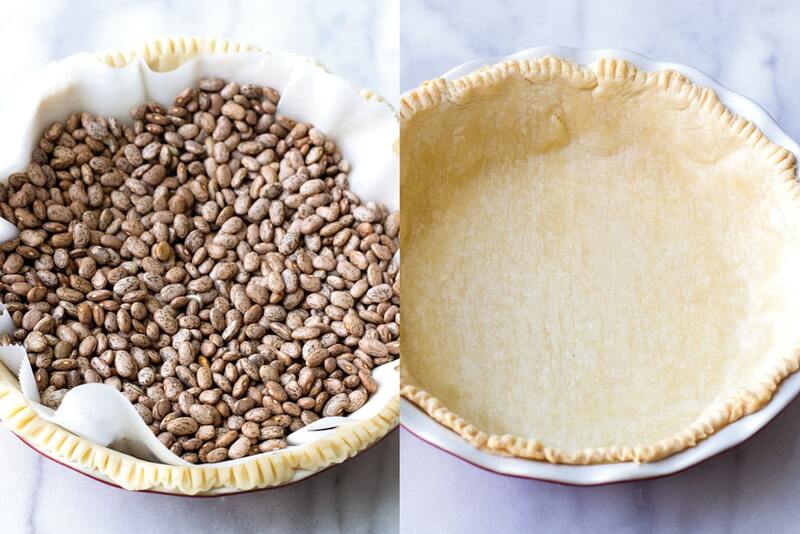 In order to blind-bake a pie crust, you need to fill it with pie weights to hold its shape. You can buy pie weights online or use beans, like I did. Be sure to place the beans or pie weights on top of parchment paper so you can remove them easily. Then, bake at 375 degrees F for 20 minutes, until edges are slightly golden brown. Roll out a round pie dough (I used a store-bought crust) to 12 inches using a rolling pin. Place dough on a 9 inch round pie pan. Blind-bake the crust: place parchment paper on top of the prepared pie pan with the dough, and fill with pie weights or beans. Why? Blind-baking, or pre-baking, the crust will prevent it from getting soggy from the egg mixture. For more details, see section above. While the crust is pre-baking, sauté the asparagus about 3-5 minutes, seasoning lightly with salt and pepper Why? To give it a head start in the cooking process. In a large bowl, whisk eggs, heavy cream, melted butter, salt and pepper. Then add the prepared asparagus and shredded cheese. Pour mixture into the pre-baked pie crust. Bake at 375 degrees F for 45-50 minutes, or until the center is set. Let it sit for 10 minutes before serving. Blind-bake the crust! This will create a crispy crust. See section above for more details. Use a good ratio between eggs and heavy cream to get the right texture. 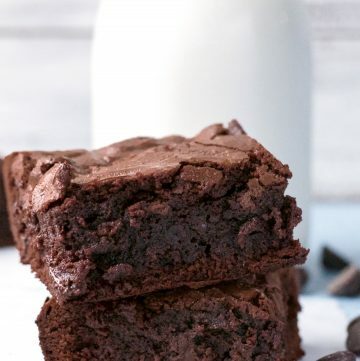 This recipe calls for 1 cup of heavy cream and 8 eggs. Don’t use fillings that have too much moisture. Pre-cook any ingredients as needed to give them a head start. For example, I pre-cooked the asparagus. If the top is browning too fast, cover loosely with aluminum foil. 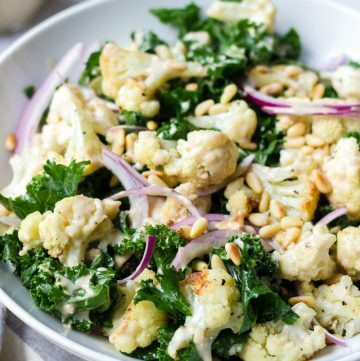 I hope you like this recipe! If you’re preparing this for Easter brunch, try my recipe for Hot Cross Buns. If you’re in the mood for pancakes, give my Fluffy Buttermilk Pancakes a try! Thank you for reading! 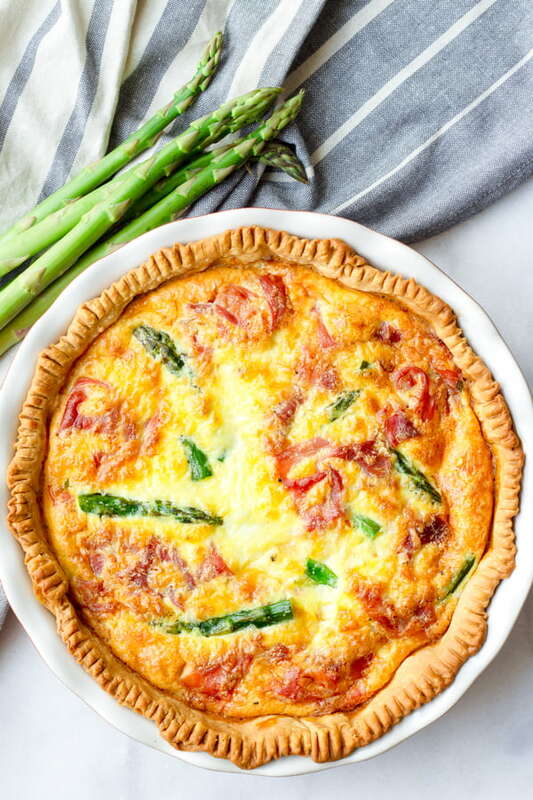 I hope you like this asparagus and prosciutto quiche. 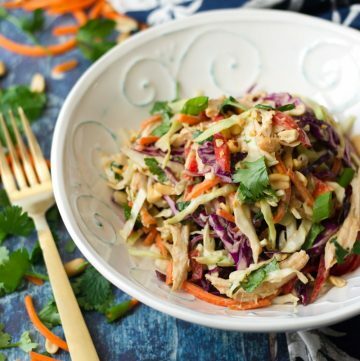 And please don’t forget to pin this recipe! 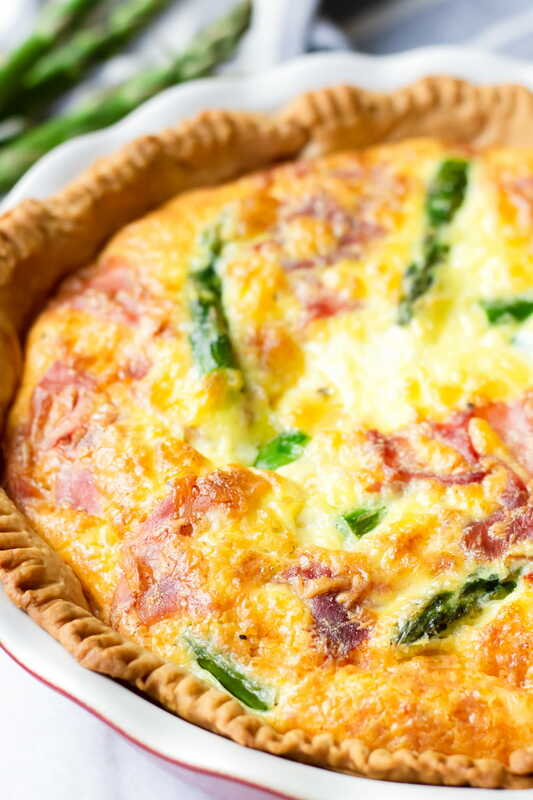 This spring asparagus and prosciutto quiche should be on your next brunch menu! Delicious and rich, this quiche will become your new favorite. On a lightly floured surface, roll out dough to 12 inches round using a rolling pin. Place dough on a 9-inch pie plate and crimp the edges. Cut any overhang if needed. Using a fork, press down along the border to make a simple design, as shown in the pictures. Place parchment paper on top of the dough and fill with pie weight or beans. Bake about 20 minutes, until the edges are slightly golden brown. This is called blind-baking. Remove pie weight/beans and parchment paper, and let cool. While the crust is baking, heat some olive oil on a skillet on medium heat and cook asparagus about 3-5 minutes. Season with a little bit of salt and pepper. Set aside. In a large bowl, whisk eggs, heavy cream, melted butter, 1/2 teaspoon Kosher salt, and 1/4 teaspoon ground black pepper until evenly combined and well-mixed. Mix in asparagus and cheese. Pour into crust. Layer prosciutto, slightly pushing down until just submerged. Bake for 45-50 minutes, or until center is set. If your pie dish is very deep, it may take a few more minutes. If the top of browning too quickly cover loosely with foil. Let sit for 10 minutes before serving. Enjoy!